It was a pleasant surprise that in spite of expected "Hollywoodzation' and already knowing the outcome "Race" is a good movie that holds your interest from beginning to end. With the powerful story, excellent acting, some touching scenes between the coach and runner, loving scenes between the man and woman plus understated but hard hitting race relation scenes here in the USA and how 'Negros' and Jews were treated in Germany in the 1930s. There might be many younger people who don't know the saga of Jesse Owens but even those who have a fleeting memory will be impressed with what this young financially poor Black man from Cleveland, who was a remarkable runner, who paid his way through Ohio State University, achieved in one Olympics. Also there are many behind the scenes that took place at the Olympics from suggesting the boycotting the games to deals made with industrialists, stopping Jewish athletes from participating and a female German director who would make memorable documentaries of the 1936 Olympics celebrating Aryan supremacy. 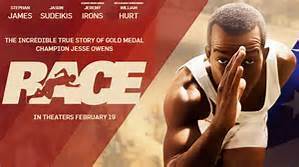 Stephan James gives a strong performance as Jesse Owens, evenly matched by Jason Sudeikis as the coach Larry Snyder who, from their first meeting when he tells the athlete to look at a man in the eyes when he talks to him, shows the runner how to use his power in more than one way. They both handle, tackle and face what had become accepted discrimination from other athletes, people in high places whether it be an amateur sports group or the leader of countries. 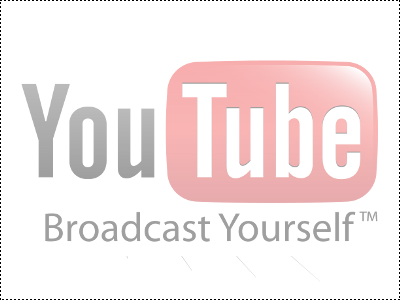 There is chemistry between James and Shanice Banton as his wife while William Hurt as a judge and , as industrialist Avery Brundage, give strong support. Carice von Houten as the German director, Barnaby Metschurat as Josef Goebbels, with Jeremy Ferdman and Sam Stroller as the only Jewishruunjers at the Olympics show two different sides of the same coin. David Cross has a potent turn as Europe's best runner while Michele Lonsdale Smith and Andrew Moodie as Owens' parents give a solid background story to what made him the man he was to become. There is a 15 minute segment revolving around Chantel Riley, showing a possible flaw that the world would come to see as a hero, that really could have been cut without changing the story and making the 2 hour and 15 minute story move at a faster pace. The screenplay by Joe Shrapnel and Anna Waterhouse follows the standard Hollywood outline of an award winning athlete but Jesse Owens story makes them detour from the template for strong effect. I do wish they had spent a little more time with the father/son aspect of the athlete's younger life. Director Stephen Hopkins does a journeyman's job while the movie's score by Rachel Portman adds to the impact of many scenes . "Race" shows an important time in American and world history involving bothdefintions of the word with a good story. Hopefully it is not being shown too early in the year to be forgotten comes Oscar 2017 time, especially for the performances of Stephan James and Jason Sudeikis. Be sure to stay for the 'what happened after' information during the end credits.